Looking for cosplays? Anime figures? Clothing? or Japanese snacks? Click on our affiliate programs and shop for the latest trends. 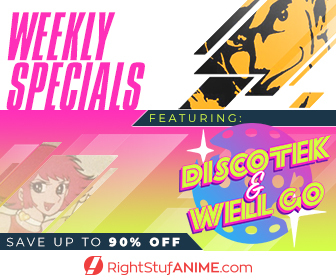 RightStufanime.com has great manga deals, anime figures, and much more goodies at a great price! There is always weekly specials, go check it out. EZ Cosplay has AMAZING anime cosplays from new animes 2019 to the most classic. That's not all, they also carry Marvel characters and DC characters as well!